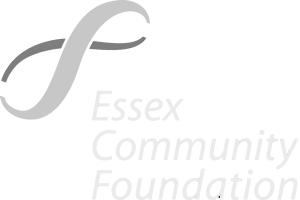 The Community Services Team supports service users who live in the Basildon, Brentwood, Castle point, Rochford and Thurrock areas and who are not resident within our refuge accommodation. The Community Services Team supports service users who are not resident within our refuge accommodation – we can meet with you at a range of community sites near to your home or at our main outreach centre in Basildon. Where it is necessary, we can also accommodate home visits. In addition to meeting in person, we offer a telephone and email support service. The aim of our service is to provide emotional support and practical assistance, including help to access emergency accommodation, assistance with safety planning, signposting/connection with other agencies, information on rights, benefits and entitlements. Our Outreach Practitioners can connect you with other teams within our organisation, such as our counselling/therapeutic services and children and young people’s services, and we can connect you with partner agencies who may also support an element of your pathway to a new future. In addition to one-to-one support, we connect service users through group work programmes. Many of our service users tell us that they enjoy the benefits of peer support, sharing experiences and empowering each other. We offer a range of group based programmes in issues such as recognising abusive relationships, safety planning, self-care and fun activities/events.